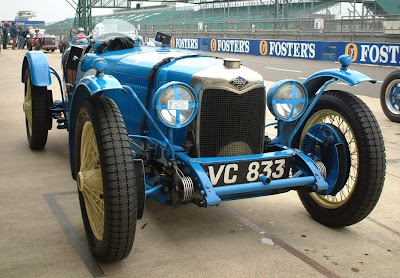 Vintage Tyres: Vintage and Classic Tyres - Where are they made? Vintage and Classic Tyres - Where are they made? Chris, our MD, recently visited one of the world’s latest tyre factories. The hi-tech factory you see pictured here produces 15,000 tyres a day of all types, from motorcycle tyres, through crossply car tyres to high performance radials. The processes are computer controlled and the factory is laid out in the most ergonomic way to produce tyres efficiently – which is why it is over half a kilometre long! So where in the world would you find the latest tyre producing technology? In this case, Thailand! Producing a tyre is a much more complex operation than most people assume; the old myth of pouring liquid rubber into a mould and popping out tyres every few minutes like wellington boots couldn’t be further from the truth. 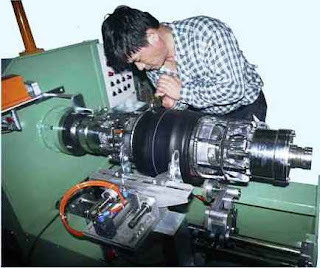 Tyres are assembled normally from about 20 different sub components all precisely positioned and guided by laser beams. Steel, Rayon, Nylon, Kevlar and some 30 different types of rubber can all go into just one tyre. It is amazing to think that all this technology and effort, and components shipped from the four corners of the globe go into the tyres on our classic cars! 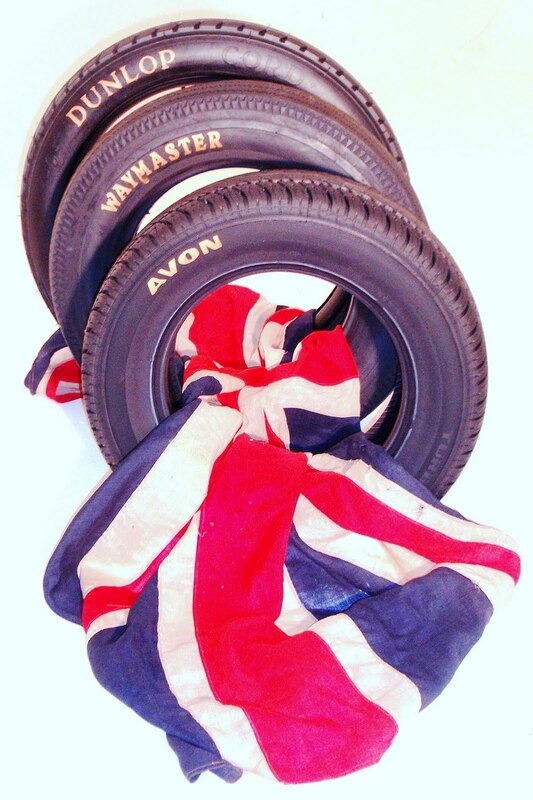 When Vintage Tyres started 50 years ago, all the tyres we supplied were British made. Dunlop and Avon for example still produce their entire classic ranges in the original factories here in England and incredibly in many cases still in the original moulds. The difference in the tyres you buy today is that they are able to include all the advances in rubber compounding and technology in their classic designs. Even some Waymaster tyres are still made in the UK. With the completion of our brand new “high tech” factory, we are confident having many of our Waymaster range produced for us in the Far East. Their lower manufacturing costs combined with rapid development in tyre production techniques have enabled the availability of quality tyres at a cost effective price. Of Course many major manufacturers still produce classic tyres locally – Avon, Michelin, Dunlop, Pirelli and Vredestein all have factories in Europe. However, it is interesting to know that even in small volume classic ranges, production is common overseas in order to keep costs low; Ensign, Blockley, Excelsior, Waymaster and even Michelin all produce tyres in the far east. So does it matter where your tyres are made? Well these days we as classic car owners are fortunate to have such a choice open to us. We are lucky that major manufacturer still continue to make small production runs of authentic tyres. The good news is that now it can also be less expensive to have good quality tyres on our cars. Pictured here is a Riley fitted with Dunlop Triple Studs - the original triple stud tyre, and still made in England! It is really a good blog having great information about tyres..
Nice information shared. One can also get the details of tyre shops in wagholi. Thanks for sharing. Thanks for great information you write it very clean. I am very lucky to get this tips from you.we also offer extensive range and developed a special purpose solid tires, press on solid tires, solid skid steer tires for material handling equipment. Great article which helps consumers and cars owners on how to get rid of their old vehicles and provided enough knowledge about Cash for Junk Cars. We have some more great and wonderful writes up for Scrap Cars For Cash Brisbane. It’s impressive that you are getting ideas from this post as well as from our argument made at this time.I really like and appreciate your blog article.Really thank you! Keep writing.